At the 2015 BMW Innovation Days held on the secret BMW ground in Miramas, France, the Bavarian automaker has not only let us drive one of their first hydrogen fuel cell prototypes, but they also let us enjoy from afar a BMW i8 with the same hydrogen fuel cell technology. 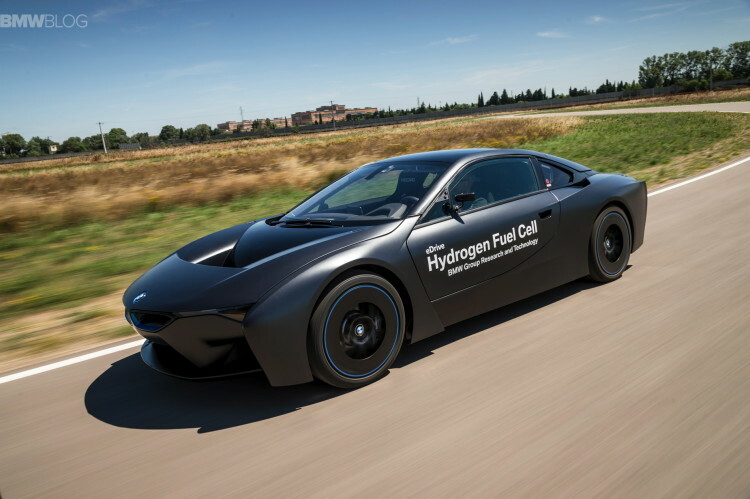 BMW has initially planned to let us drive the “Batmobile” prototype, but the hydrogen tech powering the car was in its early stages and not stable enough to be put through some quick laps. The project was largely completed in 2012. 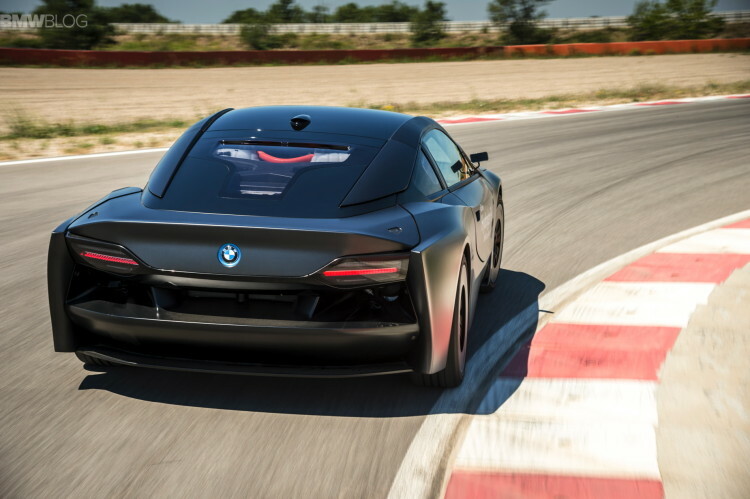 The car was used for development purposes and according to BMW, as of now, the company has no plans to bring it to the market. The hydrogen fuel cell technology is a joint project between BMW and Toyota whose aim is to have an initial group of approved components by the year 2020, though FCEV vehicles depend on the development of a hydrogen fuel structure. 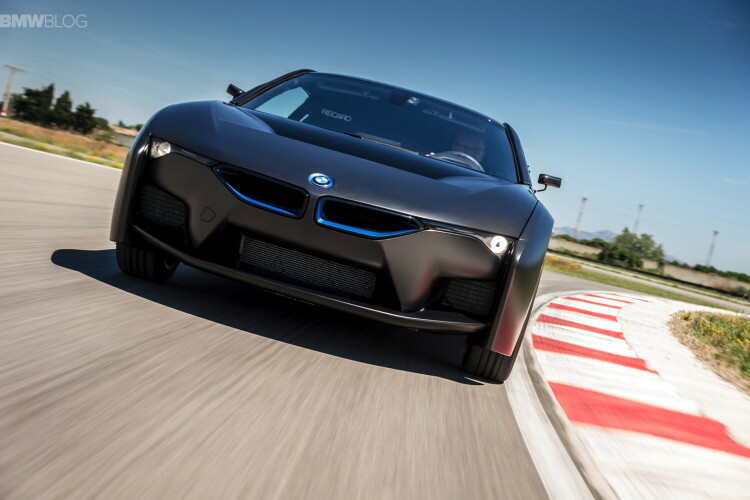 BMW’s special i8 sports a matte black paint job with small body modifications compared to the production i8. The front fascia has a new angular interpretation of the traditional kidney grille and fully integrated headlights. Two large air intakes are used to feed air to a series of front-mounted radiators. The rear end forgoes the floating, layered taillights, basically a more conventional and simplistic approach to design. Could this hint at future BMW i design? Underneath, the i8 went through a lot more changes, like the addition of a hydrogen storage system and the afferent fuel cell technology. The fuel stack is placed in the rear where the standard i8 has the 1.5 liter three-cylinder engine. The interior is made from parts from different BMW models, as you would expect in an early stage prototype. 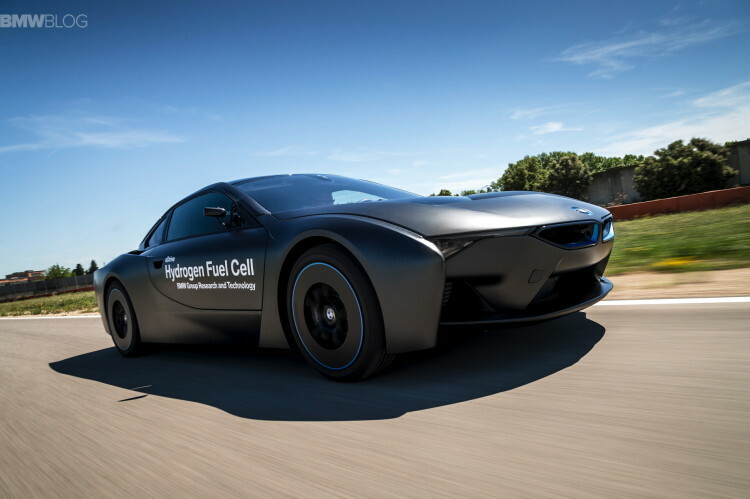 BMW says its hydrogen fuel cell prototype has recently been taken out of service after being used extensively in the initial development of hydrogen fuel cells. 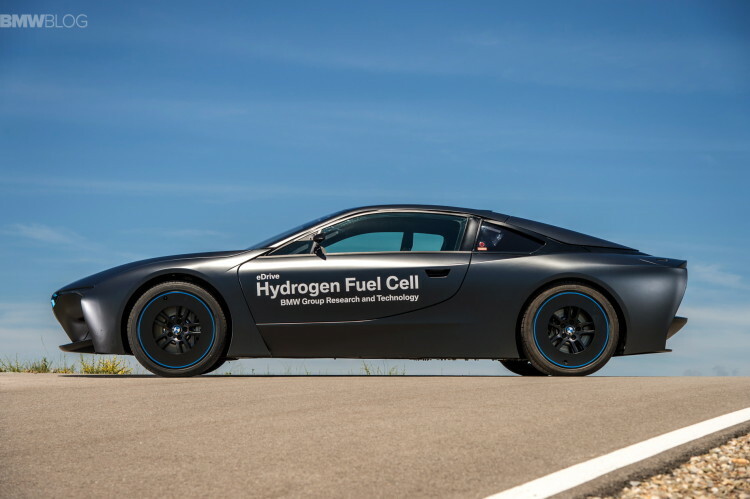 Could BMW use hydrogen to charge its electric cars?